With its cosmopolitan air, hundreds of restaurants, great nightlife and abundance of culture it is one of the most attractive and exciting seaside resorts in the whole of Britain. Brighton Pier and the Royal Pavilion are two of the most popular attractions in Britain. Brighton and Hove is a famous holiday destination surrounded by the beautiful countryside of the Sussex Downs. It is a major university city. It attracts a large British student population to the universities of Brighton and Sussex. 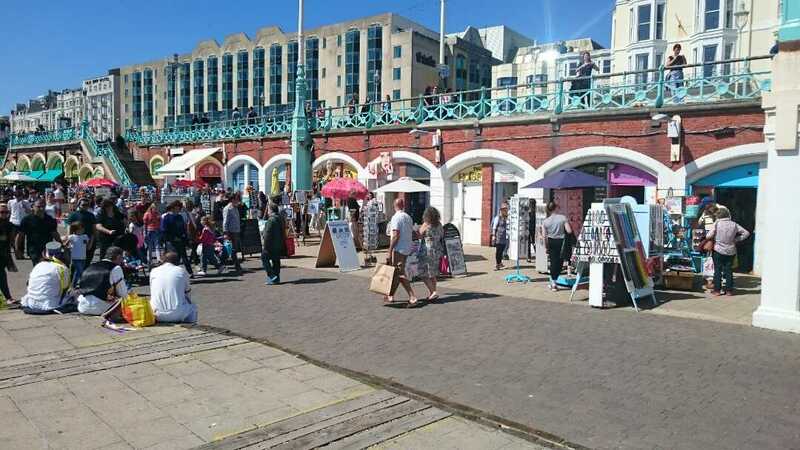 It also has a large international population who come to Brighton to study English in language schools. The city is an important educational and cultural centre with an international reputation as one of the most fashionable cities of England. Brighton is a great place to learn English. There are many English courses available. These include Genaral English and English examination courses. You can prepare for the Cambridge First Certificate (FCE) Cambridge Advanced Examination (CAE) and the International English Language Testing System (IELTS). After a day of studying, you can enjoy the busy town centre, experience the exciting night life, or relax with beautiful views of the sea and fresh sea air. Castle School of English is in the heart of Brighton’s town centre, and students at the school can enjoy everything Brighton has to offer.